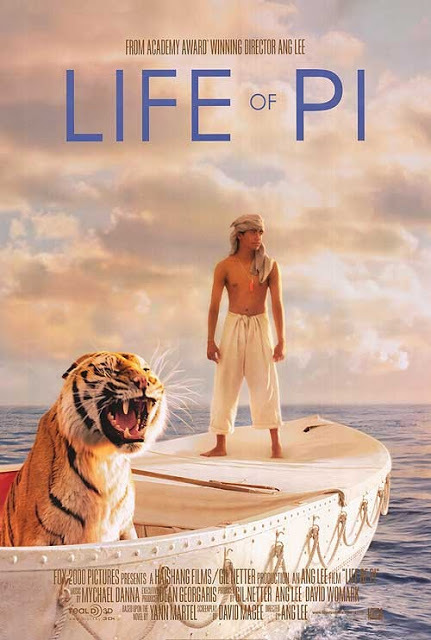 With less than eight hours to go before the start of the Oscars, I upped the number of Best Picture nominees I had seen by one by catching an early afternoon showing of Life of Pi. It’s good we showed up early, because it looked like everyone in the vicinity of Brooklyn’s Cobble Hill Cinemas had the same idea. Before the movie began, the old lady sitting behind me decided to walk her husband through the entire story of the movie in her loud old lady voice. Thanks, lady, you rock. I haven’t read the book, so I thought about turning around and yelling “Dobby dies in book 7!” at Madame de Spoiler. Instead, headphones went in, Foo Fighters came on, and spoilers were avoided. I have to admit, I considered keeping Foo Fighters going a little longer when I saw the first trailer was for the latest Fast and Furious movie. Life of Pi started, and despite the constant running commentary from the old lady behind me (She loves meer cats! Tigers are scary! ), it was a really good movie. First off, it’s beautifully shot, and the 3D looks awesome. This is the best 3D I’ve seen in a live action movie since Avatar. But unlike Avatar, everything doesn’t look like it’s CGI. Oh, a lot of this movie is CGI, but it doesn’t have that telltale fake look that CGI usually has. 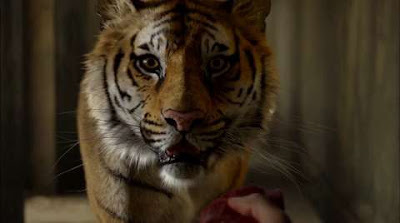 I was surprised to find out that the tiger in Life of Pi, Richard Parker, was a CG creature throughout the entire movie. I thought they used an actual tiger for at least some of the scenes. Cesi n’est pas un tigre. Life of Pi walks the line between endearing and tragic so well, and that’s what I think is the main reason why I liked it so much. Pi goes through an experience that rivals Job’s, but the movie never turns into maudlin naval gazing. Instead, it’s lifted by by its heartwarming and humorous parts. 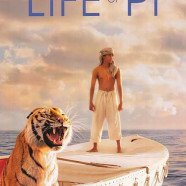 I’m glad Ang Lee won the Best Director Oscar for Life of Pi. With Kathryn Bigelow and Ben Affleck both snubbed for Zero Dark Thirty and Argo, I was happy to see it go to Ang Lee for Life of Pi over Steven Spielberg for Lincoln. See Life of Pi in the theater, and see it in 3D. The shots of the movie during the Oscars didn’t look quite as magical in 2D on my home TV as they did in 3D in the theater. 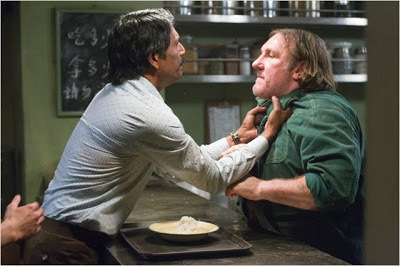 Parting thought: Gerard Depardieu is a jerk. This was a very good movie. The special effects in the movie and the scenery were great, coupled with an interesting story made for a very good movie. This movie has a little Titanic, and Castaway rolled into a modern version. I did not read the book so I had no preconceived notions going in. The movie was very entertaining and had my attention for the majority of the movie. Could they have cut some scenes out….sure, but the story is easy to follow and moves along nicely. The early part of the movie is heavily tied to religion and faith. I was glad to see it not about a specific religion but more about that sometimes you need to believe in something to help us get through our journeys.